Waukesha County Taxpayers Association | Conservative. Fiscally Responsible. Fighting for you. Vote Brian Hagedorn for Supreme Court! Taxpayer Association (MFTP) for election as Waukesha County Circuit Court Judge. expect and deserve from repeat lawbreakers. 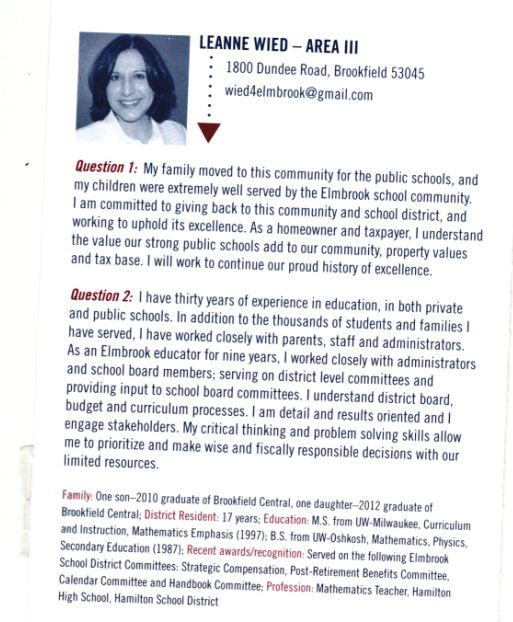 Leanne Wied, candidate for School Board, signed to Recall Gov. Scott Walker. 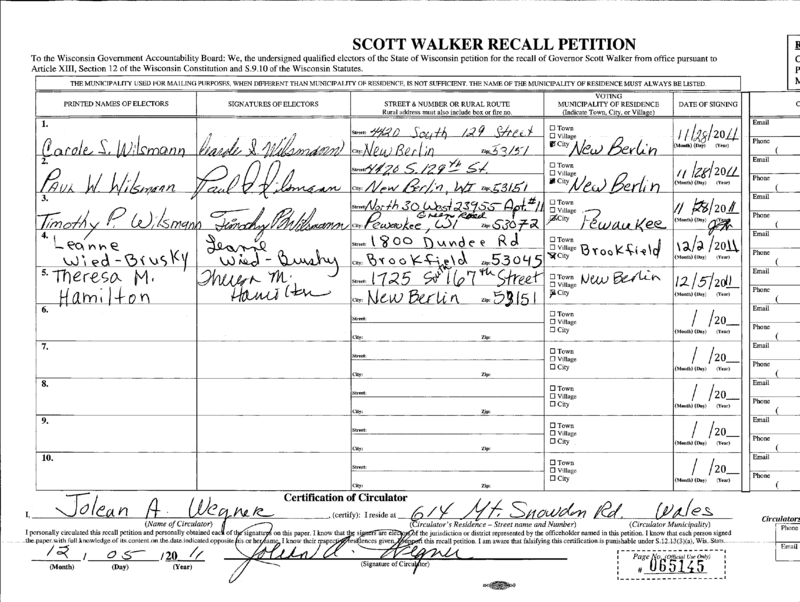 While she claims she is a fiscal conservative, why did she sign the recall? As heard on Mark Belling: Visit http://www.oasdvoteno.us/ for more information on why the OASD School District Referendum is unnecessary. Waukesha County Taxpayers Association is endorsing Chuck Wichgers for the 83rd Assembly district which includes Muskego, Waterford, Town of Waukesha, Vernon, Big Bend, East Troy, Hales Corners, and Milwaukee. Chuck Wichgers is a true fiscal conservative and the only candidate willing to sign the “Grover Norquist Taxpayer Protection Pledge.” Chuck has public and private experience as a Waukesha County Supervisor and Muskego City Alderman and currently as small business owner. During his public service, worked tirelessly to fight against crony capitalism which he fought and won for local taxpayers. If elected, Chuck has proved himself a taxpayer champion, and will not go along to get along. Chuck is a fierce 30 year pro-life advocate and believes in the right to bear arms with the highest available NRA rating of A(Q). Taxpayers should vote “Chuck” next Tuesday. US Congress District 5: F. James Sensenbrenner, Jr. The Waukesha County Taxpayer Association is accepting requests for endorsements. To begin the process email President Steve Welcenbach at Alchem1@earthlink.net. He will conduct a phone interview with you to begin the process. Or you can donate online to join the Taxpayers! Get connected to the Waukesha County Taxpayers Association today! Waukesha County Taxpayers Association endorsed Supervisor Jennifer Grant introduced the resolution to oppose a regional tax for a Milwaukee arena. WAUKESHA – Top Waukesha County officials next week will consider crafting a resolution opposing a regional tax on the county for a new sports and entertainment arena, County Board Chairman Paul Decker confirmed Wednesday. Elected county officials have for months voiced their disdain over any new regional tax to finance the potential replacement orretrofitting of the BMO Harris Bradley Center in Milwaukee.